The player for Spurz has moved. 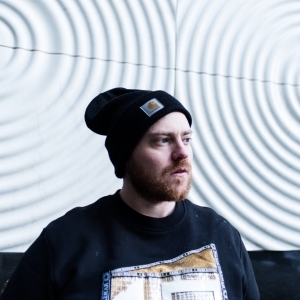 Spurz is a Canadian-born, London-based DJ and producer whose music threads together echoes of various musical disciplines to create a voice that is uniquely his own. His productions and remixes have been supported by the likes of SBTRKT, Mumdance, and Kastle, with his albums and EPs being applauded by DJ Mag and Mixmag, who chose ‘Loud Futures’ as an Album Of The Month. As a selector, Spurz eschews a focus on a singular genre or sound in favor of finding interesting ways to connect the dots and build energy by pulling from a combination of experience and expansive knowledge, evidenced in his sets on NTS, Radar, Rinse France and Tim & Barry’s Just Jam. Apart from his personal music endeavors is Drama Hands, a DIY label he co-pilots with long time friend Jesse Rhodes. Originally started in a basement as club night born out of bleak nightlife options in Edmonton, Canada, the label has blossomed into a platform for emerging artists with a roster focused on inclusion and diversity, echoed in the vast variety of music the label plays host to.